Few days before Tiananmen Square massacre anniversary, a number of Facebook accounts of Hong Kong activists were suspended suddenly. Facebook’s complaint mechanism were blame for suppressing dissenting voices by Hongkong netizens. Similar incidents also took place in Taiwan. In order to fulfill the regulations by PRC central government, Sina Weibo (twitter-like) recruited over thousands administrators to monitor those contents “violated the relevant regulations". Besides, marks will be deducted if users violated the regulations and may lead to closure of accounts. German Pirate Party won seats in state councils. 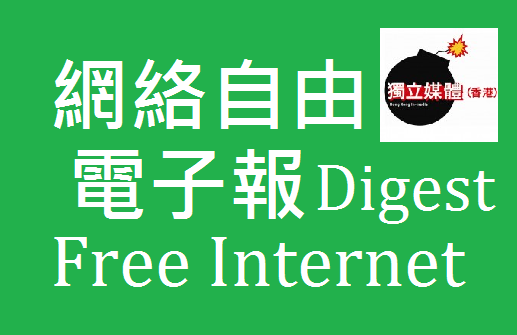 It advocates free upload and download on the internet. Will this anti-IP trend smash over the world? RT：German Pirate Party to rock Merkel’s boat? Burma is undergoing political and social reforms. The government even promises to abolish media censorship. Is it a good news to local journalists? On the other hand, a Thai website editor was fined and sentenced for other’s comments on her site, people worried this would worsen self-censorship. Subscribe Free Internet newsletter to concern on both local and international policies on free speech.